When I was a kid, life just seemed so much simpler. There was no internet, no online radio, no i-anything. For most of us, we got our entertainment from television, movies or AM radio. Fast forward to 2019 and we now live in an age of complexity, to say the least. Luckily, some things remain the same; like the need to have heroes and icons. A full roster of them will descend on OC this Friday, January 25th at the 7th Annual She Rocks Awards at the House of Blues, Anaheim. This weekend is a little different than most because NAMM is in town, a week-long event often described as “the world’s largest trade-only event for the music products, pro audio and event tech industry.” That means there will be a ton of industry types in town; merchants, providers and artists alike. Here’s the thing, even with the NAMM juggernaut in town; many attendees and the general are looking forward to checking out the She Rocks Awards. I’m sure you’re asking yourself, what exactly is the She Rocks Awards? This annual event is produced by the Women’s International Music Network (WiMN), founded in 2012 by Laura B. Whitmore. She’s a very accomplished industry professional, a veteran marketer of the musical instrument and audio industries. In a recent interview, Whitmore told us that the WiMN hosts news, events, and community forums for women from all walks of the industry. As for the Awards show itself, she said it recognizes women who stand out as role models in the music industry. Simply put, the event showcases female heroes of the music industry and it celebrates its female icons. Since the organization’s inception, they have had contributors from all walks of life and every aspect of the music industry. One of the most accomplished artists in the industry is Lisa Loeb, and she’s been with the organization for several years. When asked why she decided to support the organization, she said she was very happy to see what Laura and the management staff were doing. Loeb is a Grammy winner, a successful actress and no stranger to great projects. In a recent interview, she said that she’s always strived to be a great artist. Hard work and perseverance is a common trait with any successful person. That said, it appeared that certain aspects of the music industry were more pronounced than others. That’s how the She Rocks Awards brings a necessary spotlight to women in the music industry. Every segment of the music industry contributes to making us feel through words, sound, and vision. That’s a good reason why this organization and event is so vital to the ongoing success of music in this new technological world of immediate social trends and access. The event will be another star-studded celebration of women who have touched our hearts and filled our lives with admiration. These ladies are larger than life, they’re unforgettable with an elegance that’s timeless. Past events have provided us with moments that transcend the here-and-now through the looking glass of the sublime. Some of the past honorees remind us of the importance of award shows like this one. Since 2012, the She Rocks Awards has celebrated the contributions to music and to our lives by artists such as Melissa Etheridge, Pat Benatar, Exene Cervenka, The B-52s, Colbie Caillat, Sheila E, Chaka Khan, Ronnie Spector, Orianthi, and The Bangles just to name a few. As in years past, there will be some iconic names being honored. Most notable, GRAMMY Award-winning singer, songwriter, producer, and actress, Macy Gray. Her contributions to the entertainment industry are immeasurable. For OC music fans, we have followed the career of our favorite artists, Terri Nunn. She’s the iconic frontwoman of new-wave / electro-pop sensation BERLIN. You can catch Terri regularly performing in the OC. Her shows are so moving, you’ll often see grown men and women with tears of joy as they take in her performance. There’s also the Reality Bites aspect of the show, the show will honor the aforementioned muse, Lisa Loeb. The show will be hosted by Christine Devine and Lyndsey Parker. Devine is a 16-time Emmy-winning FOX 11 / KTTV news anchor. Parker is a music and pop culture expert who is currently the music editor at Yahoo Entertainment and co-host of the weekly SiriusXM show, Volume West. There are a few surprises, and as always, there’s great entertainment in store. • Terri Winston, Executive Director, Women’s Audio Mission. 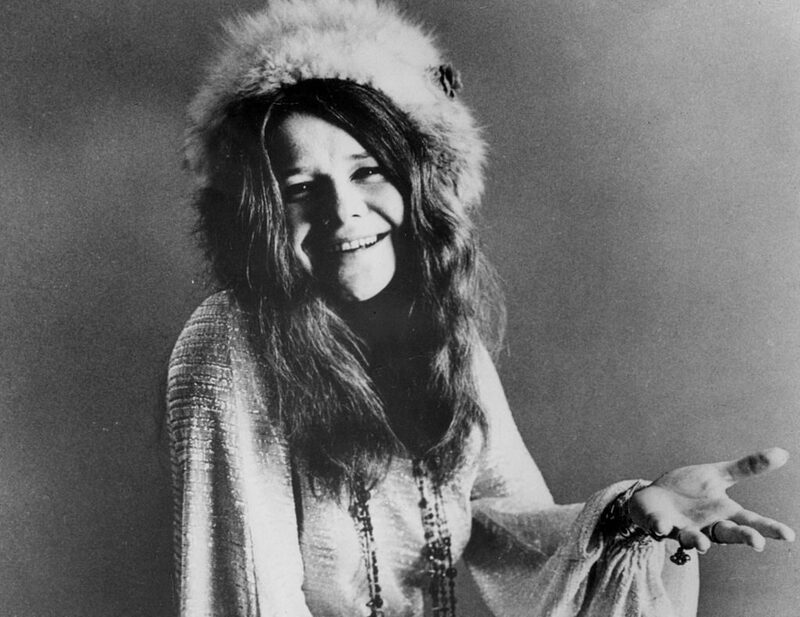 In addition to these honorees, the She Rocks Awards will present its first-ever lifetime achievement award honoring Janis Joplin with a retrospective presentation. The awards show will be a celebration, but it will also be an opportunity for industry professionals to gather. It’ll also be an opportunity for the general public to meet and mingle with some of the music industry’s most influential people and contributors. All that and you can let the little kid in you out again… at least for one night. Doors are at 6, the event runs from 7:30 to 10:30. Tickets to attend the She Rocks Awards are available now at TheWiMN.com .